Updated 12/8/2005 From the episode "All You Need Is Glove". 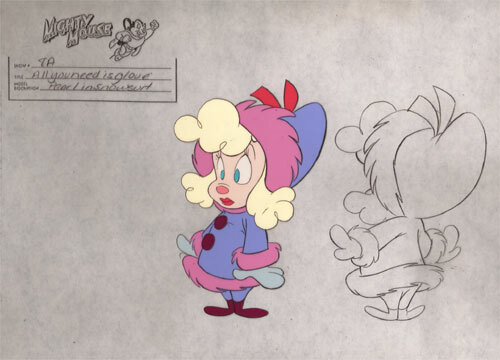 Look under sketch for the color call sheet for this cel. Pearl really doesn't look that much like this in the episode. Maybe th age of the source is the cause of color differences, but the style on Pearl in this model just doesn't match the execution in the ep.